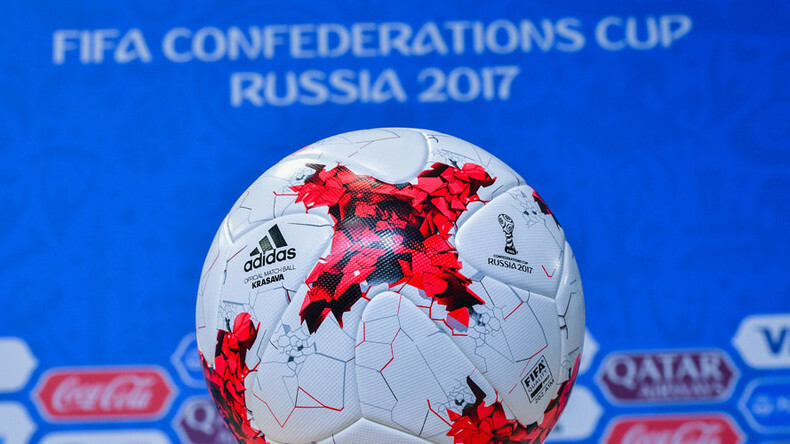 RT is carrying special coverage of the FIFA 2017 Confederations Cup in Russia. The event kicks off in St Petersburg and will be held in three other host cities – Moscow, Kazan, and Sochi – from June 17 to July 2. For Chile v Germany match live updates CLICK HERE. The closing ceremony has just wrapped up at St. Petersburg Stadium. It was a vibrant affair that drew on elements of St. Petersburg’s culture and history, as well as symbols from the other three host cities – Moscow, Kazan and Sochi. Russian stars Polina Gagarina, Egor Kreed and DJ Smash wowed the fans in the stadium, while renowned ballerina Vera Arbuzova performed a wonderful solo dance. Brazilian legend Ronaldo also made an appearance, bringing out the Confederations Cup trophy. The trophy will have a new name on it tonight – neither Chile nor Germany have won it before, with previous winners being Brazil (four times), France (twice), Argentina, Denmark and Mexico. Portugal defeated Mexico 2-1 in extra time in Moscow to claim victory in the Confederations Cup third place playoff. The score remains 2-1 to Portugal. There have been two red cards in the third place playoff in Moscow. Nelson Semedo has been dismissed for Portugal, while Mexico's Raul Jimenez has been given his marching orders. Both players went after receiving two yellow cards. Into the last five minutes in that game. Portugal have taken the lead in the third place playoff against Mexico in Moscow. Andre Silva scored from the penalty spot after a Mexico handball to make it 2-1. They are still in the first period of extra time there. The Portugal-Mexico game is in the first period of extra time in Moscow. It's still 1-1 in the battle for third place, but Portuguese 'keeper Rui Patricio has just made a good stop from Mexico striker Hirving Lozano. A fairly even game at the moment. Mexico have taken the lead in the battle for third place in Moscow. Portugal defender Luis Neto turned the ball into his own net after a Javier Hernandez cross on 54 minutes.